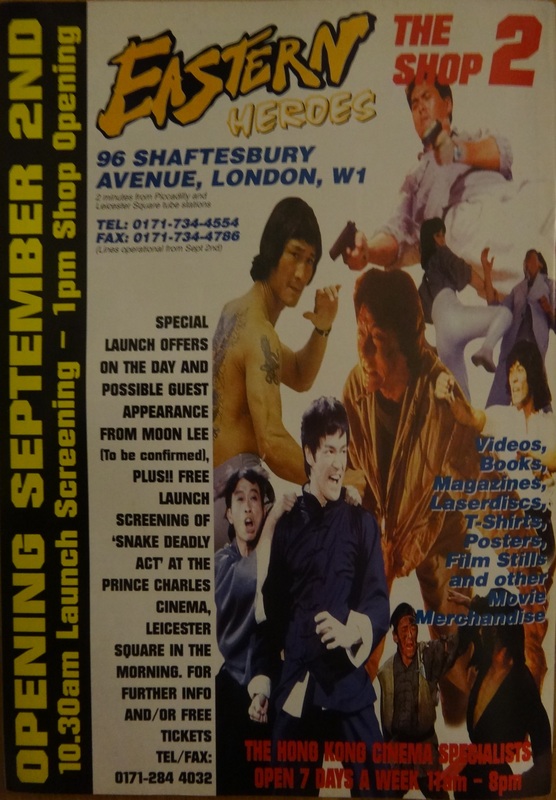 Yesterday we took a look at Jet Li’s London appearance from all the way back in 1996, now today we’ll take a look at the people that put that amazing day together: Eastern Heroes. It’s a thing that’s often said, about how the internet has changed everything in the last decade, and it’s very true. Right now you can pretty much find out anything you want about a film straight away, you can watch it digitally, buy a DVD, read about it being filmed, find out who’s been cast in it and more with just a few keystrokes. But back in the 1990s? Forget it! 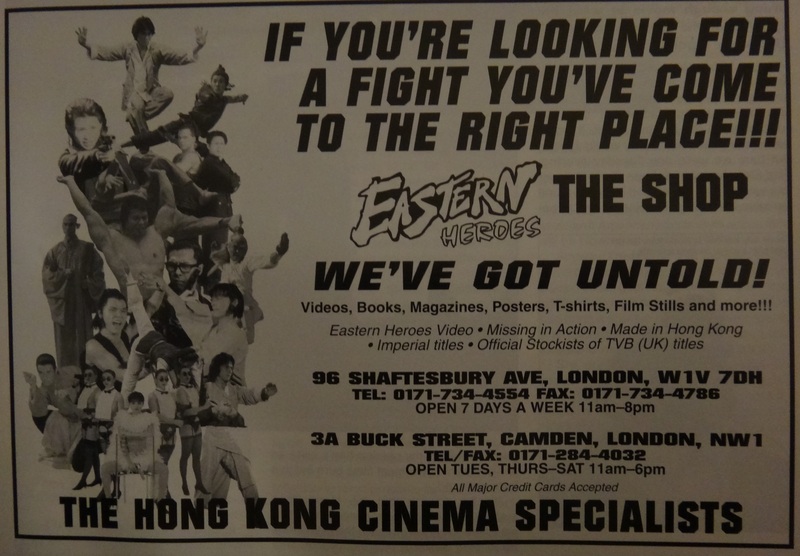 And that’s why Eastern Heroes were so important to films back then; they were like a one-stop organisation to get everything you needed about Asian action cinema. 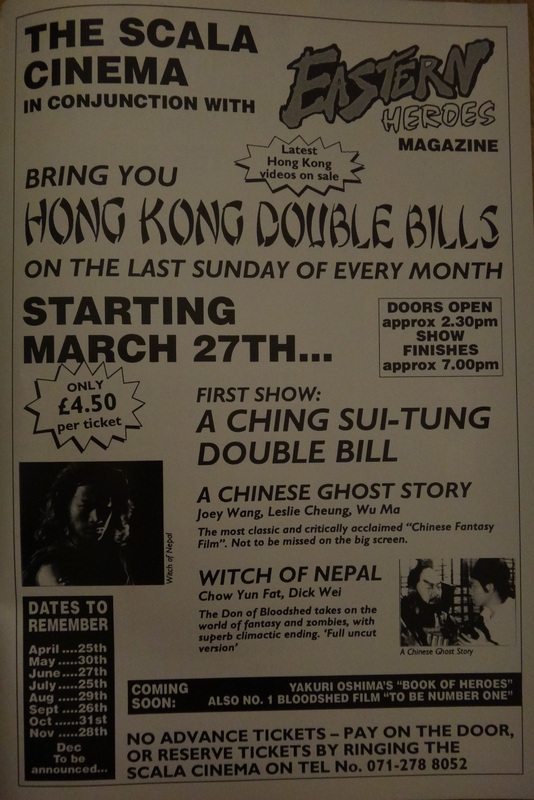 Now this feature is by no way a history of them, I really don’t know enough, but what I want to do here is try to highlight how great they were at bringing that world of amazing cinema to life during those pre-internet days. 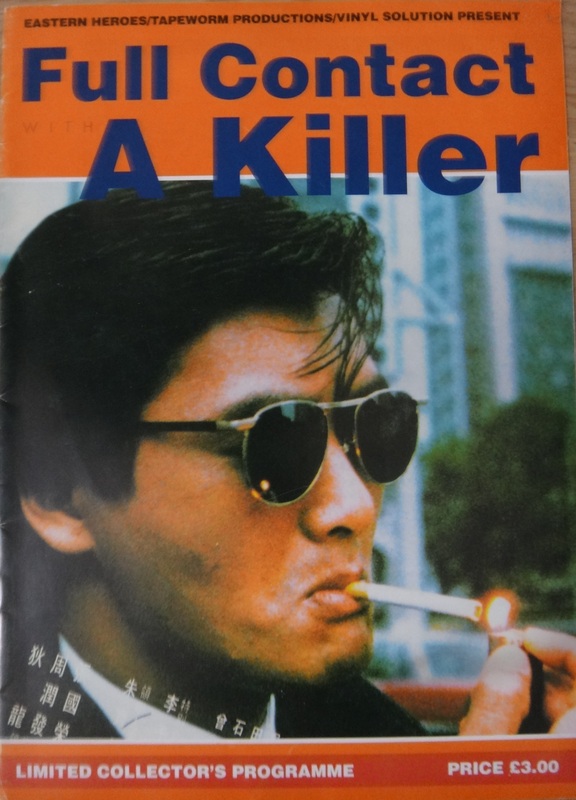 Then you had their long running magazine which filled you in on recent Asian cinema releases, let you know what was coming up and had great interviews with actors and directors that you wouldn’t find anywhere else. I only have a few of their magazines left, but taking another browse through them now really brings back how much of an eye opener they were at the time. 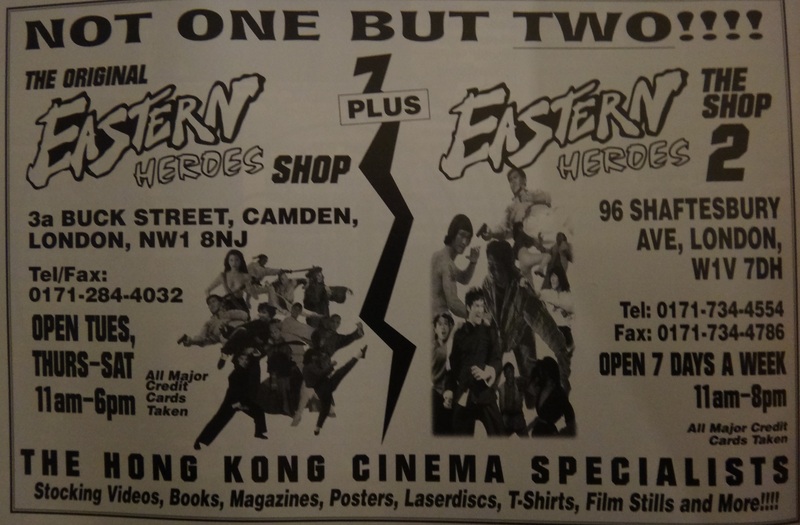 But as we always say, nothing lasts forever, times changed and eventually Eastern Heroes closed down operations at some point in the late 1990s. 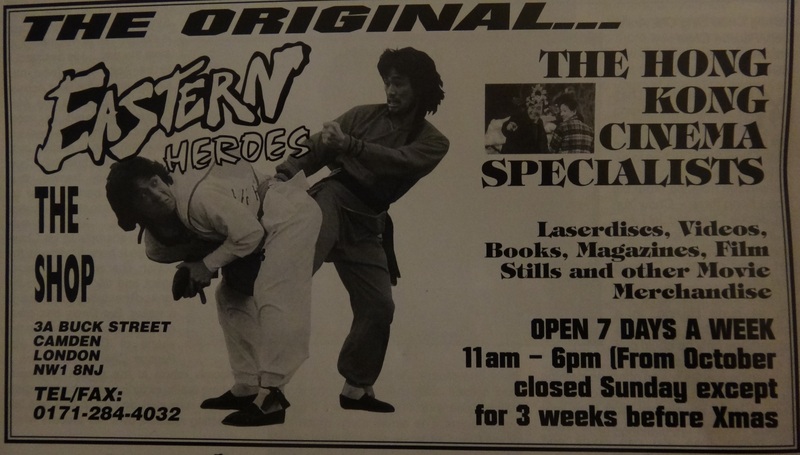 But we’re happy to report that recently Eastern Heroes have re-launched, with Rick Baker still in charge, there are plans afoot to launch a new magazine, they also put on a recent screening in Chinatown, showing two brand new martial arts documentaries. So it’s great to have them back and let’s hope 2014 sees Eastern Heroes go from strength to strength. Thanks for all the great times from us at The Duke! 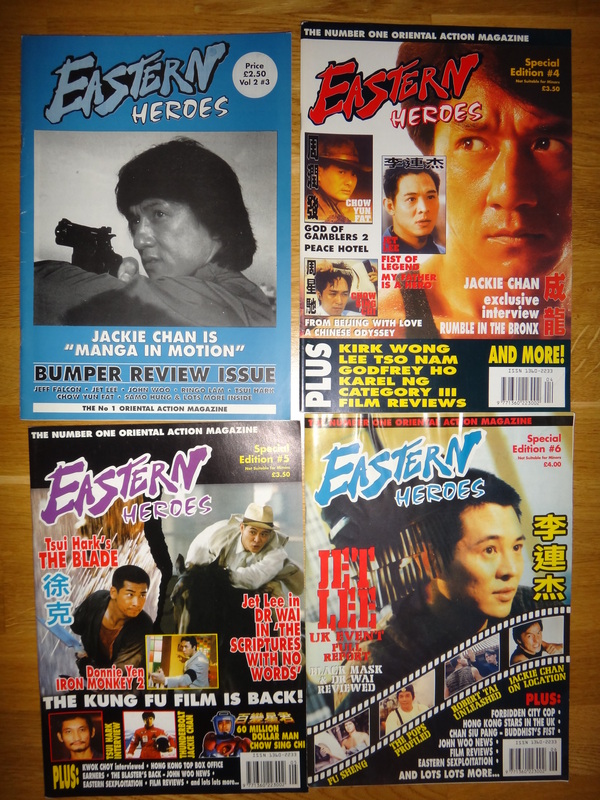 Find out more about the relaunched Eastern Heroes right here!